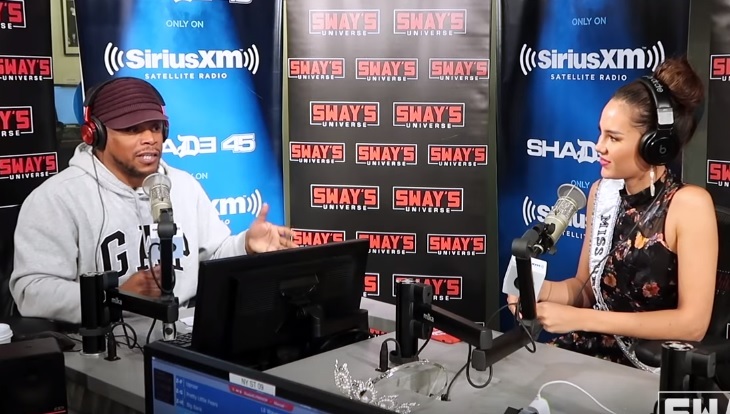 Miss Universe 2018 Catriona Gray was recently interviewed by Sway Calloway on the radio show “Sway in the Morning” as part of the Filipino-Australian beauty queen’s media tour in New York, United States. During the interview, she was asked about the controversy involving Sarah Rose Summers, H’Hen Nie and Nat Rern a month ago. Summers, Nie and Rern represented the U.S.A., Vietnam and Cambodia, respectively, in Miss Universe 2018. Days before the coronation ceremony at the Impact Arena in Bangkok, Thailand, the American candidate was widely criticized for seemingly making fun of the Vietnamese and Cambodian candidates’ lack of English ability in an Instagram video. “If you would get to know her, you would know that she never meant anything malicious by it and I know that she’s definitely learned from this experience,” Gray said of Summers during her interview with Calloway. The reigning Miss Universe added that the reigning Miss USA “was just admiring the courage of” Nie and Rern. On December 17, 2018, Gray was crowned Miss Universe 2018. Rern did not place while Summers and Nie made it to the Top 20 and Top 5, respectively. Currently, Gray is in New York where she will reside during her reign as Miss Universe 2018. She shares an apartment with Summers, who is fulfilling her duties as Miss USA 2018.